In a press release that had been widely expected, Dell has announced that it has bought storage company EMC for a staggering $67 billion. 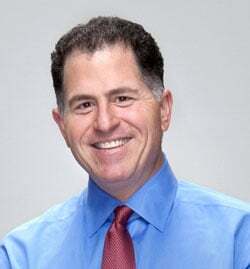 Michael Dell, founder & CEO, Dell Inc. The deal which has the support of investment vehicles MSD Partners and Silver Lake. According to the press release EMC shareholders can expect to receive around $33.15 per share. Some of this will come as cash $24.05 while the rest will be in a tracking stock linked to a portion of EMC’s economic interest in the Vmware business. Each shareholder will get 0.111 share of the new tracking stock for each EMC share they currently hold. This announcement is not yet a done thing. There is a lot of due diligence to be conducted on this deal and while there doesn’t seem to be any obvious competition issues, it is likely that regulators around the world will be taking a close look at the deal. EMC is currently in the middle of a major cost cutting plan as it tries to save over $800 million. While the deal is being negotiated, that plan will continue. As part of that plan it is expected that there will be job cuts at EMC and its subsidiaries. This deal will see VMware stay as a separately traded company. The company has struggled with issues over cloud and is currently trading close to its lowest for the last year. However, with VMworld currently taking place it is likely that we will see a number of key announcements that will show VMware getting more of a cloud footprint. Dell is a major VMware partner so leaving it as a separate company also makes sense as it will allow VMware to continue to sell to HP and other vendors without being seen as giving Dell any preferential treatment. The irony of this deal, for those with long memories, is that over a decade ago the then Dell CEO, Kevin Rollins wanted to buy EMC. Michael Dell disagreed and after a short but public boardroom battle it was decided not to go down that line but continue with the focus on PCs. Today’s announcement will be greeted with some amusement by those involved and ultimately vindicates Rollins’ view that EMC was a necessary acquisition. This announcement is also a major coup for Michael Dell and Silver Lake. Two years ago Blackstone Group and Carl Icahn made a bid for Dell. Eventually the bid was withdrawn when Blackstone announced that the business for Dell was deteriorating and it couldn’t justify the cost. Others declined to get involved and many felt that Silver Lake had made a mistake helping Michael Dell take the company private for $24.4 billion after a long drawn out battle with various shareholder factions. What does this deal mean for staff? This is a complete unknown at the moment. Until the deal is completed, any staffing issues will be down to the existing management at the separate companies. The reality is that if the deal does go through there will be a number of places where there are overlaps in staff positions both in the US and overseas so there will inevitably be job cuts. How deep they will be is anyone’s guess at this point. One thing that will be watched carefully by customers, partner and the rest of the industry is how Dell goes about this. Will it follow the HP line of death by a thousand cuts or take the risk of cutting deep? Again, this is anyone’s guess and one we are not going to make. What does the deal mean for partners? There is very little doubling up in terms of partners for both companies. This is mainly because the two companies don’t compete with each other in terms of products so partners shouldn’t suffer too much there. The big risk for partners will be customers holding off on orders until they know what is happening with the deal. This would potentially mean partners losing out on orders. Once the deal is complete there will be a restructuring of the partner programmes and this may mean some partners ending up with less favourable terms. However, this is not going to happen overnight or immediately the deal closes. This gives partners time to work out the worst case scenario for themselves and what they need to do next. What does the deal mean for customers? This is a good all round deal for most customers. Since Michael Dell took the company private it has changed its customer focus. While many still see Dell as an consumer company it is far from that with consumer now responsible for less than 30% of the company turnover. This does not mean that Dell has not been active in that space. It has tried mobile phones but that failed and even though it still has its own tablet and printer lines as well as specialist gaming computers it is continuing to switch focus to the more lucrative enterprise market. The key markets for Dell are the SMB space in which it has been very active for a number of years, the large enterprise market and the service provider market. 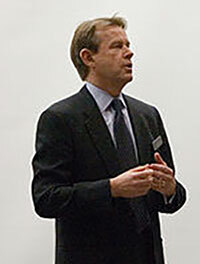 The acquisitions of SonicWALL and EqualLogic have helped here especially in the SMB market. The growth in demand for storage and security mean that there is a lot of demand from SMBs. The SMB market will, therefore, benefit from the EMC acquisition. EMC not only has products in this space but also has OEM deals with a number of companies who take EMC hardware and rebrand it. Dell was not one of those companies so there is no issue here with branding and the two sets of products should sit well together. Dell has had mixed success in the large enterprise market over the years. It has sold 1U and 2U servers along with blade servers into this market quite successfully. However, as it perceived to lack a storage offering, despite the Compellent acquisition, it struggled to compete with the likes of HP and IBM who could do a single vendor deal with large enterprise customers. In the last few years Dell has created a successful network switch and router business which it claims is second only to Cisco. This means that it has overtaken HP, a significant feat in a short period of time. Having claimed a recent world record with Intel processors around SAP HANA, Dell now has the storage devices to enable it to offer the right solution for enterprises. What customers will be looking for is a coherent approach to its selling in solutions and potentially a move towards hyper converged solutions. The market where this acquisition will be best received is likely to be the service provider market. In the UK and Ireland, for example, Dell is claiming to be the number one in sales of servers to service providers. This growth has come at the expense of HP and to a lesser degree IBM and Fujitsu. With EMC in its stable, Dell should be able to accelerate its service provider wins against HP consolidating its position and acting as a launch board for work with large enterprise customers by proving its ability to scale for cloud and big data & analytics challenges. It is very early days yet for this announcement and over the next year while we wait for the deal to be completed there will be millions of words written about what it really means. At the moment all we really know is what the financial offer to acquire EMC is and the fact that Dell has persuaded Silver Lake and MSD Partners that this is good business for everyone. After Blackstone Group decided that Dell was over-valued and the market conditions were getting worse just two years ago, this is all a remarkable turnaround. Even if the deal never gets to completion the fact that two big investment companies were prepared to go along with it means that Dell will be seen differently by customers of all sizes. It’s a bold and audacious move by Dell and one that very few companies would take. The size of the bid appears to have caught everyone by surprise and it will be interesting to hear what Michael Dell has to say as he moves from interview to interview over the next few weeks. 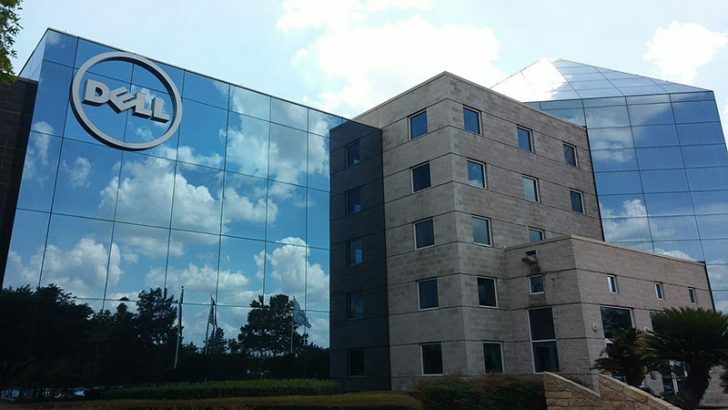 It will also be important to read what the serious business and technology analysts think about the deal as their views are likely to be important to many of the customers that Dell needs to convince that this deal is a good thing. It’s a while since we had a really big deal in the IT sector. Let’s hope that this one isn’t as disastrous as HP and Autonomy.